Dr. Jiang’s research focuses on objective pathological laryngeal function assessments, laryngeal physiology, biomechanics of vocal fold vibration, medical instrumentation, medical software development and application. Dr. Jiang is also working on the development of accurate protocols for voice measurement in patients with laryngeal pathology, including professional voice users and children. 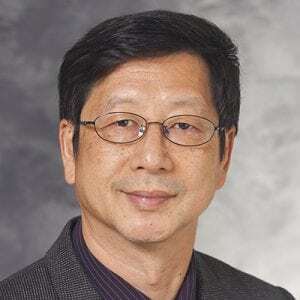 Dr. Jiang is Director of International Collaborative Research and Translational Research for the Department of Surgery, and he is Director of the Otolaryngic Biomedical Engineering Research Center and the Laryngeal Physiology Lab. He has published more than 230 original manuscripts in the area of voice measurement and disorders, and serves on the editorial boards for The Laryngoscope, Journal of Otolaryngology-Head and Neck Surgery, Annals of Otology, Rhinology & Laryngology, and Journal of Voice. He has served on Study Sections for the Center for Scientific Review of NIH since 1998, and he is a 2001 recipient of a Presidential Early Career Award for Scientists and Engineers. Measurement Reliability of Laryngeal Resistance and Mean Flow Rate in Pediatric Subjects. Effects of a simulated system of straw phonation on the complete phonatory range of excised canine larynges. The effects of cryotherapy on vocal fold healing in a rabbit model.